The Wisconsin Institute for Law & Liberty (WILL) released its second annual report comparing school academic performance across Wisconsin, apples to apples. In this new peer-reviewed study, control variables—such as student economic status and demographics—are included to level the playing field and make the clearest possible comparisons between schools for policymakers and parents. Also included for the first time is WILL’s Performance Ranking, which ranks the performance of every K-12 school in the state from all sectors while controlling for socio-economic status. The report shows that schools participating in the Parental Choice Programs are doing quite well in several areas. 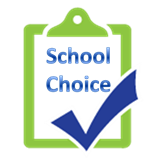 CLICK HERE to visit the Department of Instruction Online Parent Application for School Choice. Wisconsin will celebrate National School Choice Week 2018 (January 21-27, 2018) with 563 events, meetings, and activities across the Badger State. Joining dozens of other governors and hundreds of city and county leaders nationwide, Gov. Scott Walker has officially proclaimed Jan. 21-27 School Choice Week in Wisconsin. Wisconsonians have planned 563 events and activities for the week to celebrate educational opportunity and spark conversations about the options parents have, or want to have, for their children. Since 1991, The U.S. Centers for Disease Control has surveyed teens every two years in order to identify trends in risky adolescent behaviors. Watch the short video of this testimony on this issue from the West Bend School Board meeting HERE. An ordinance that has been deemed “anti-discriminatory” has been proposed and is awaiting a vote by the De Pere Common Council on November 7 at 7:30 p.m.. Click HERE to read the earliest public reference to the ordinance. WHEN: Tuesday, November 7 at 7:30 p.m.
Do you think private businesses in De Pere should be forced to allow men in the women’s restrooms or changing rooms? Should churches or religious organizations that encourage the public to attend their services be forced to allow men in the women’s restrooms or changing rooms or vice versa? The City of De Pere proposed ordinance was recently introduced by Alderperson Casey Nelson, who just this past April was elected to the Common Council. The earliest reference we can find to this policy is in the minutes from the September 12, 2017 Finance/Personnel Committee meeting. The Board of Health passed the proposed ordinance on Monday, October 23. Alderman Nelson and Alderman Ryan Jennings are on the Board of Health. Now the full Common Council will consider the ordinance for a vote on Tuesday, November 7. The public will be given an opportunity to express their opinion on this proposed policy/ordinance. 1) Call your common council member, the mayor and all of the members of the council expressing your concern and opinion. Click HERE to access contact information for the De Pere mayor and Common Council members. 2) Share this information with other residents of De Pere. Encourage them to contact their council member and also attend the meeting on Tuesday, November 7. 3) Make sure your pastor and ministry leaders know about the meeting on Tuesday, November 7 at 7:30 p.m. at City Hall in the Council Chambers, 335 S. Broadway, De Pere. 4) Pray! Pray that God will change hearts and minds of the decision makers the good people of De Pere have elected to the Common Council. For more information on how this ordinance could impact local businesses, religious ministries, etc., click HERE. CLICK HERE to read more about the “Choose Life” license plates. CLICK HERE to learn how to order YOUR “Choose Life” license plates today! CLICK HERE to download, print and fill out your DMV form to order your “Choose Life” license plates from home. ALERT: TONIGHT Sun Prairie transgender ordinance “wrong and dangerous.” City Council meeting May 2 at 7 p.m. Leaders in Sun Prairie are considering two ordinances that would protect people based on their gender identity or gender expression. The city would be one of only a handful in Wisconsin to have an ordinance prohibiting discrimination on the basis of gender identity or expression. Read a media account HERE. Note: The meeting will take place in the Council Chambers on the 2nd floor of City Hall at 300 E. Main St. in Downtown Sun Prairie at 7 p.m.
Next Tuesday, February 21, is Wisconsin’s Spring Non-Partisan Primary Election. Early in-person voting ends this Friday, February 17. Absentee ballots are also available. A primary for State Superintendent of Public Instruction will be on everyone’s ballot statewide. This is a 4-year term. Incumbent Tony Evers, who has served two terms, is running again and has 2 challengers: Dr. Lowell Holtz and Mr. John Humphries. Other local races could be on voters’ ballots. Check myvote.wi.gov to see a sample ballot. Polls open at 7 a.m. and close at 8 p.m. statewide. Wisconsin Family Action Political Action Committee (PAC) has endorsed Dr. Lowell Holtz (photo, left) for State Superintendent of Public Instruction. See endorsement here. Wisconsin Family Council/Wisconsin Family Action’s biennial “Day at the Capitol” is scheduled for Thursday, March 23, 2017. You won’t want to miss this opportunity to connect directly with your government. You’ll hear from key legislators, get legislative updates, visit your legislators in their capitol offices— and much, much more! Space is limited! Click HERE to learn more about the event and sign up for a personal invitation when they become available OR…. Contact our office to pre-register for this event! Call 888.378.7395 or email our office at info@wifamilycouncil.org. “Another offering at the University of Wisconsin-Madison, this one on masculinity, is drawing fire from conservatives as an example of ideological excesses at the school. Wisconsin Family Action was provided this aerial view of the crowd in attendance at Franklin Graham’s Decision America 2016 event today in Madison at the State Capitol. CLICK HERE to watch! Decision America: View Slide Show From Today’s Event in Madison! Join Wisconsin Family Council/Wisconsin Family Action as we participate in Franklin Graham’s “Decision America” prayer tour that brings him to our own Wisconsin State Capitol today, June 15, at NOON. Graham is traveling all 50 states challenging Christians to live out their faith at home, in public and at the ballot box.